When life gives you lemons make lemonade they say...As teachers we are always adjusting, and helping our students succeed and when their mental health is challenged we do everything in our power to guide them and give them resources and support! 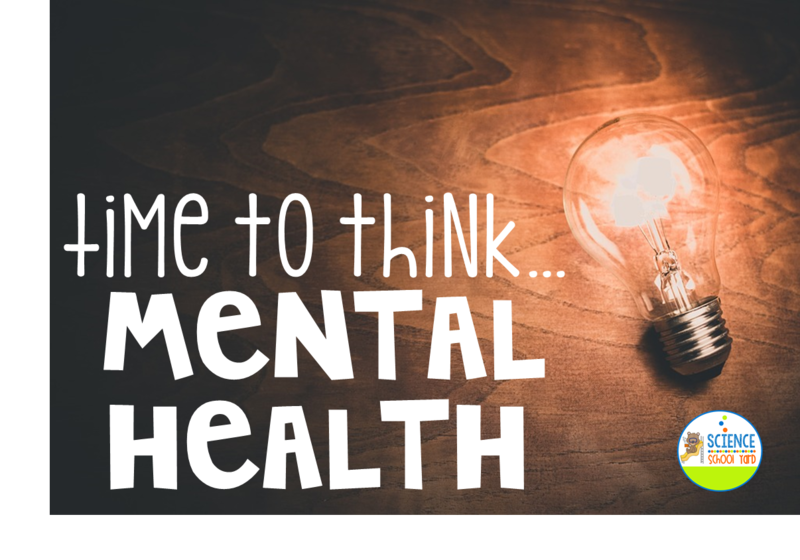 As a staff we have been focusing on ways to nurture a child's mental health. Here is a list of quick tips to help you...help them. We must also remind ourselves that we too as educators need to have what we need to get through the school year successfully! We can take the same strategies we give to our students and use them ourselves! 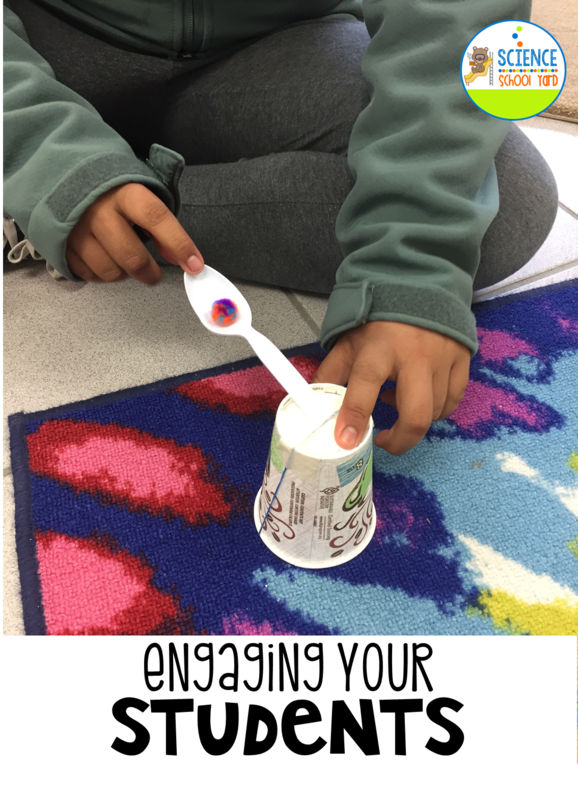 Another way to help provide a healthy classroom is to find time to add interactive activities to allow your learners to be active and engaged. 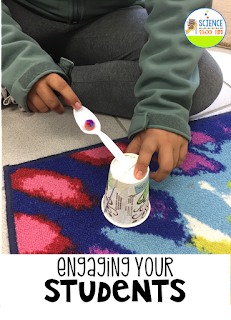 1. read a book for language arts and then add a STEM activity to build something relateable in the story. 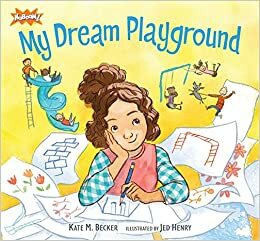 We learned math and engineering by using this book as we set the stage to build our dream playground! 2. teach a math concept and then have them build it and show a 3-D way to show that concept...we used the terms perimeter and area as we started to plan the space we had to build our perfect playground! You can do that with anything...graphing, number sense, be creative. When you can find ways to step outside of the everyday mundane, it inspires you as well! 3. Teach a science concept and bring in examples of the real world experience to have them touch. Add a bit of energy and motion as your designs! We continued outside to test the speed of objects that could slide or roll down the real slide! It is often hard to find time for science. Take a look at your standards that you have to follow such as NGSS and weave a concept into it. Share the standard, tie it into what they are learning about and presto, once again finding ways to add what is so very hard is also freeing! Great for positive thoughts! 4. Give them choices in their learning set up a maker space station for them to go to when they are done with their work or as a go to station as part of your daily routine. We all love choices! Listen to their ideas, give them a voice, help them learn to problem solve. All of this is great for everyone's mental health! 5. After a science lesson, provide them with a science game, vocabulary connection, or review with qr codes or game boards to get them learning the same concept differently. After they are able to build and share, their positive vibes will carry them to continue to want to be engaged. Use this to your advantage! 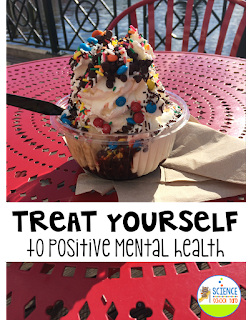 This week, has been trying to my own mental health so what can we do for each other? This summer, I am splitting the school I am at with another science teacher. I am also heading over to a new school where I will teach K-5 Science. I am getting two new principals and my team that I love will not be able to connect the way we did in the past. Change is hard for some people, but there is a reason for everything. Embrace change and keep moving forward. Stay tuned for summer progress and ways to prepare for the new school year! If all else fails...treat yourself!